Felix Rosenqvist seals FIA F3 European Championship title! Felix Rosenqvist has sealed the 2015 FIA Formula 3 European Championship title, becoming the first Swede ever to win the highly competitive single-seater series. 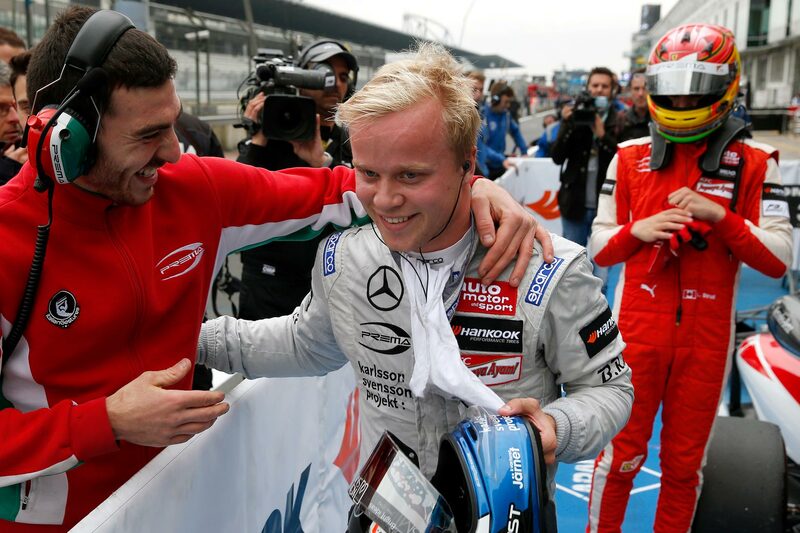 Rosenqvist claimed the title in jubilant style at the Nürburgring on Sunday morning, completing a clean-sweep of weekend victories at the German venue to settle the fight for gold with one championship round to spare. The success means Rosenqvist rewrites the F3 history books as the only driver ever to have won each of the category’s true “grand slam” accolades: the Macau world finale (2014), the Masters of F3 (2011 and 2013), the Grand Prix de Pau (2014) and the European Championship title (2015). The F3 European Championship was first staged in 1975, with its impressive list of winners featuring a host of later Formula 1 superstars – including four-time champion Alain Prost and current world champion Lewis Hamilton (who won the F3 Euro Series in 2005). Rosenqvist seals the title following a dominant display at the Nürburgring, where he won each of the weekend’s three races from pole position, setting a new lap record in the process. With one round still to go, Felix Rosenqvist is set for a record-breaking year in the FIA F3 European Championship. With 16 pole positions, 21 podiums and 12 wins to his name from 30 starts so far, Rosenqvist has already ensured he will be topping the 2015 statistics regardless of the outcome at the Hockenheim finale in three weeks’ time. 1: Felix Rosenqvist (SWE/Prema Powerteam), 453 p.
2: Antonio Giovinazzi (ITA/Carlin), 362.5 p.
3: Charles Leclerc (MON/Van Amersfoort Racing), 356.5 p.
4: Jake Dennis (GBR/Prema Powerteam), 333 p.
5: Lance Stroll (CAN/Prema Powerteam), 198 p.